When we last left our heroine June (the handmaid formerly known as Offred), she was taken by what appeared to be the Eyes (the Gilead secret police) and placed in the back of a van, headed off to an uncertain fate. 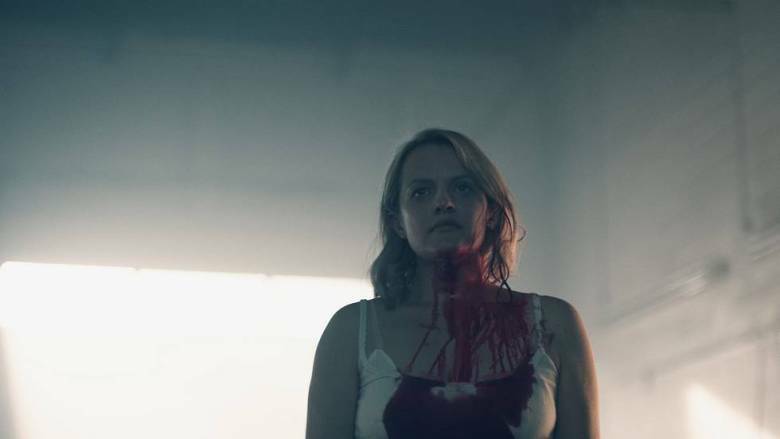 For those fearing the new season of The Handmaid's Tale would take its time to answer the question of just who has June, rest assured that her fate is revealed in the opening moments of season two (in a particularly harrowing sequence). While the first season of The Handmaid's Tale was incredibly successful in adapting Margaret Atwood's dystopian novel (to the tune of numerous awards and much critical acclaim), season two runs into some problems as the series begins to craft its own narrative without the novel as a safety net. Having seen six of the ten episodes of season two, I'm happy to report that when the show is firing on on cylinders it remains one of the best shows on television, choosing to wrestle with the difficult themes of the source material while working to build out the fairly insular world of the novel. But there is a stretch from episodes four to six where the series spins its narrative wheels, hitting the exact plateau I was worried about in the aftermath of season one. The first three episodes of the season are spectacular, full stop. Fleshing out Gilead beyond the streets of Boston, we are taken to the much discussed, but never seen, Colonies, where those who can't be killed for whatever reason are sent to work until they die from the harsh, toxic conditions. Our guide to this new and horrific reality is Emily (previously known as Ofglen, Alexis Bledel, following up her Emmy-winning turn last year with yet another devastatingly raw and stunning performance), who has been sent there as punishment for her driving stunt in season one. While Gilead presents its own cavalcade of horrors, the Colonies are perhaps even more disturbing to experience. The women there are free from the societal confines of Gilead, allowed to freely associate in their bunkhouse, practice religion, fall in love. But that freedom comes at the price of knowing they will die, sooner rather than later. We also get to learn more about Emily- who she was, who she has become since we last saw her- and it's one of the more incredible sequences in a series full of them. While June may be our protagonist, Emily is such a layered character, so easy to root for, despite not being able to see a way that she will make it out of her situation alive. This intriguing character, and Bledel's performance, is only deepened when another character from Gilead appears in the Colonies, creating an onscreen duo you never knew you wanted to see. The series also spends a far too brief time in Canada during its initial six episodes, letting us see how Moira has managed to acclimate to her new life. As one might expect, the demons of her past haven't been wiped away as neatly as Moira might want those around her to believe. The Handmaid's Tale suffers from an embarrassment of riches when it comes to the caliber of its cast, and it's criminal how the series underuses Samira Wiley. Moira's life in Canada is just as interesting and complicated as June's precarious position in Gilead, or Emily's in the Colonies. It's shame the series doesn't give it as much screen time as it deserves. While I was disappointed in the lack of Moira in the front half of the season, the moments we are given with the character still resonate. On the flip side, the bulk of the season is spent following June's arc, which presents the biggest issue of the season. Full disclosure, my issues with June's story are directly related to specific events within the season that I am not allowed to discuss in this review (due to a request to critics from Hulu). In the vaguest of terms, it's clear the writers know where they want to go with June's story, but they also know they cannot get to where they want to go too quickly. So, rather than using the extra episodes to flesh out other characters (Perhaps an Aunt Lydia flashback? A Moira flashback? ), the writers opt to have June remain the focus of the action for three episodes, but with very little plot or character development. Instead, we're introduced to June's mother (played by the excellent Cherry Jones- the guest star roster this season is spectacular and includes Clea Duvall, John Carroll Lynch, and an Oscar-winning actress I am not allowed to name) in a flashback-laden episode, and are given another Serena Joy flashback that is so clearly based on current events that it doesn't even register on an emotional level (Serena Joy is given an intriguing storyline in the present, just not in the past). When the series does jar itself awake and get back to pushing the story forward at the end of episode six, it was enough to make me think the final four episodes will be more in line with the initial three. But it's troubling to see the show flounder for such a sustained period of time now that the show's writers have the sole responsibility for crafting the story. 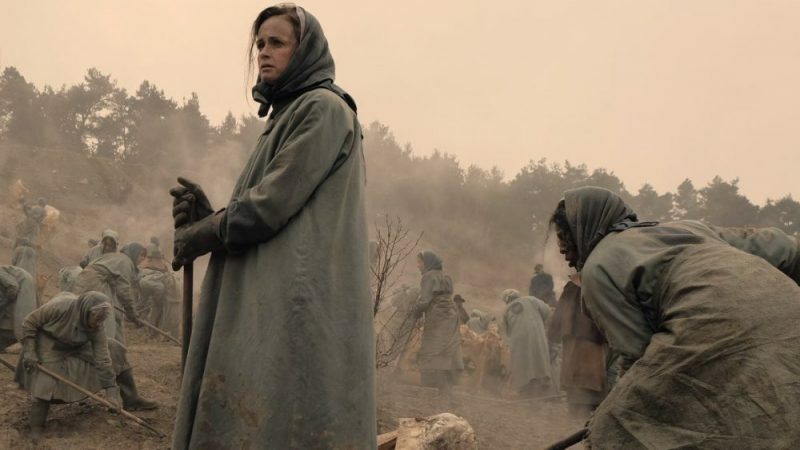 The Handmaid's Tale isn't a series built for longevity. There's only perhaps two seasons's worth of story left to tell at this stage in the game (and, frankly, considering the dark depths to which the story reaches this time around, I'm not sure we could stomach another four or five years of this story playing out). With a finite tale to tell, there's no need to allow for lags like this to occur. That's not to say the performances suffer at all. Elisabeth Moss remains an absolute marvel, and can do more with a single look than most actors can do with an entire soliloquy (the constant close-ups of her expressive face continue this season, to great effect). Anne Dowd's Aunt Lydia is terrifying on a number of levels. Yvonne Strahovski's Serena Joy is a coiled python, consistently mere moments away from striking. In fact, the best Gilead moments are between Lydia and Serena Joy, two prize fighters sizing each other up before going in for the kill. The only weak spots remain the show's male cast members, whose characters continue to be underwritten and overshadowed by the women who surround them. Yes, the women are supposed to be the focal point, but with the amount of screen time the men get this time around, the least the show could do is make them remotely interesting. So, the big question: Is season two of The Handmaid's Tale worth watching? Yes, it is. Despite its missteps, it remains one of the best dramas out there, unafraid to address complex and difficult topics. The performances are top notch. It's still incredibly hard to stomach at moments (the first episode is not for the squeamish), and I spent a good portion of episode two in tears, but if you made it through season one wanting to know what's next for June, you'll absolutely want to continue the journey this time around. Season two premieres on April 25th with two episodes, and will then drop a new episode each Wednesday on Hulu.